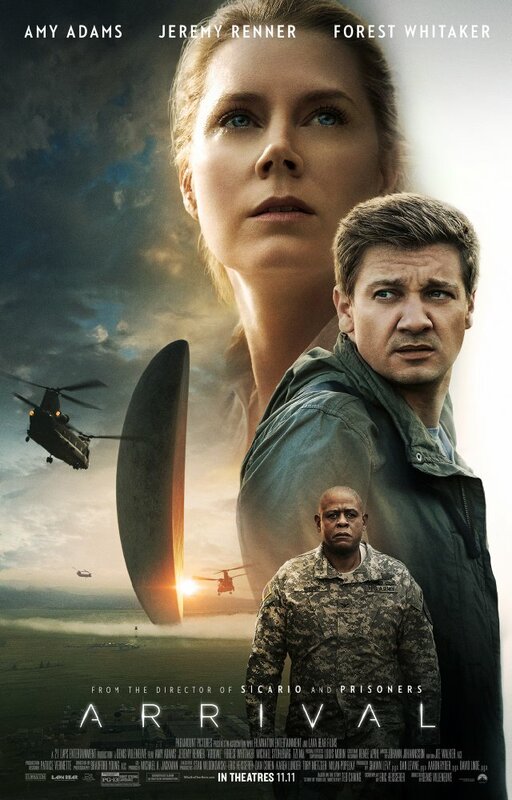 Arrival, directed by Denis Villeneuve (Sicario, Prisoners), follows a linguist and a physicist as they attempt to figure out how to understand and translate the communications of a recently arrived alien species. 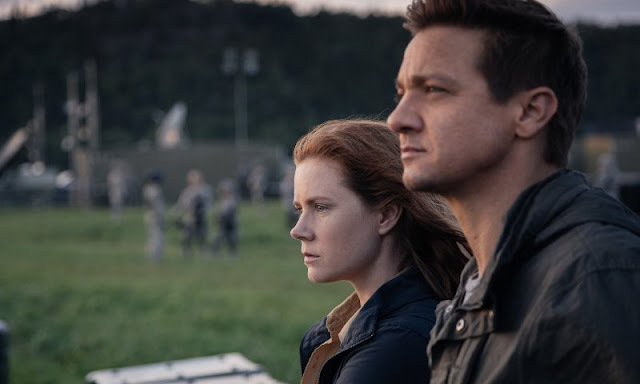 The film features acting performances from Amy Adams, Jeremy Renner, Forest Whitaker, Michael Stuhlbarg, Mark O'Brien, and Tzi Ma. I really like Denis Villeneuv's films. I really like Amy Adams and Jeremy Renner. I also really liked this movie. 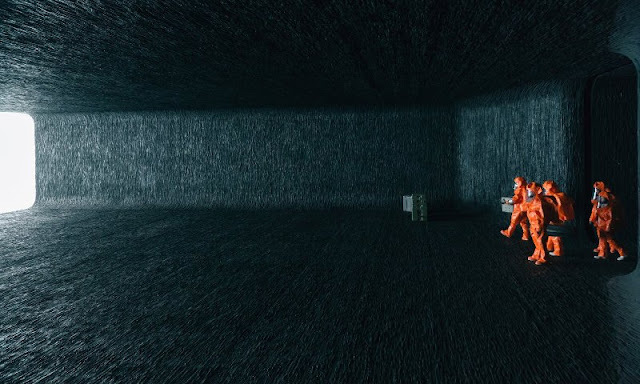 It is a smart, thought provoking, and manages to feel fresh and original while it takes us through a journey we've seen several times before. 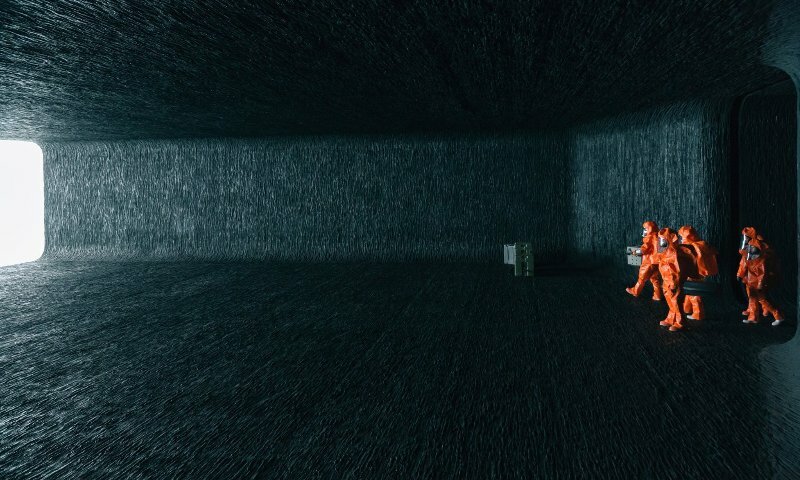 The arrival of aliens is definitely not an alien concept to movie goers as we've seen a long list of films over the years that explore this exact thing. 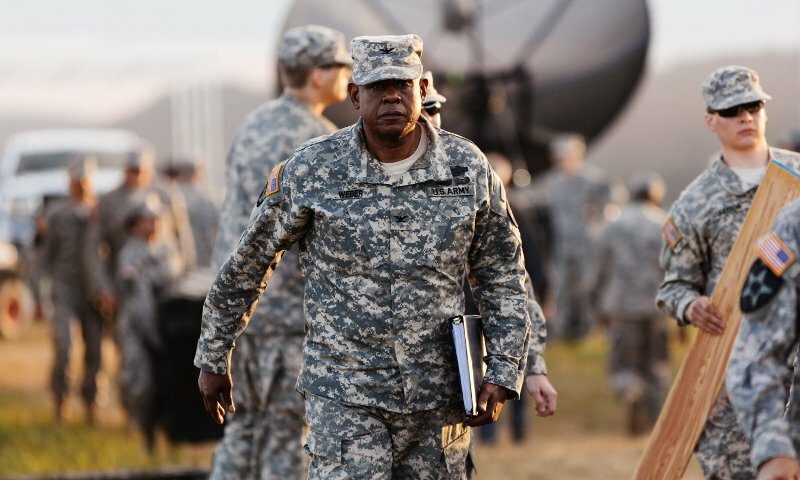 Movies like Contact, E.T., and 2001: A Space Odyssey are probably the most comparable examples while Independence Day and Battle Los Angeles take a more adversarial and action packed approach to the concept. While the thoughtfulness of the story would make you believe it is going to end up like Contact, the visual cues (gigantic hovering spacecraft, strong military presence) lean more towards an inevitable confrontation. This opposing dynamic is a great way to keep the audience engaged as you're never quite sure if there will be a peaceful conclusion or if aggression will win the day leading to all out war. Meanwhile, the two main characters, played by Adams and Renner, go down a rabbit hole of innovative thinking, theoretical conceptualizing, and scientific discovery. This might seem like some really heavy stuff to throw at the audience, and I will admit that it definitely is, the actors do a fine job of making it relatable and fairly easy to pick up on and follow. If Amy dams isn't one of the great actresses of our time, I don't know who is. No matter what role she takes on, she is about as likable and believable of a personality as you will find. In this film, her character has to be the smartest, most competent person in the room at all times and yet the audience must also believe in her faulted humanity which are the keys to the breakthroughs she is able to make. Adams takes these challenges head on and comes out with a performance that carries the picture and should deserve a fair amount of recognition at the end of the year. While Jeremy Renner and Forest Whitaker are always good in whatever they do, they actually don't have a lot to work with in this film. Still, the level of integrity they add to their roles is enough to create a great foundation and gives Adams all the room she needs to do her thing. 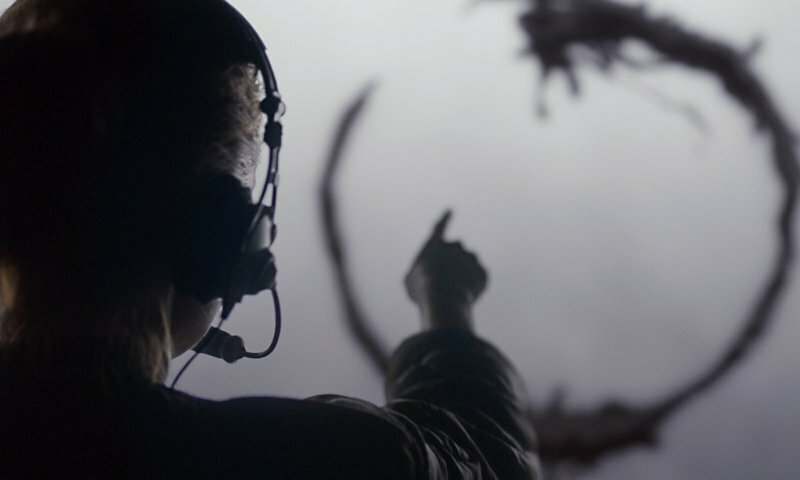 Arrival does a lot to push forward the science fiction genre and explores some really interesting and theoretical concepts. The story is very well written, the film is expertly directed, and it contains a truly exceptional performance from Amy Adams. All of that being said, more than a few people in the audience walked away from the experience a little confused and asking a lot of questions. I'm not necessarily saying that's a bad thing, but it will be interesting to see how it translates at the box office when compared to other genre films like The Martian and Gravity.